One thing people always say to me is “You must do so many fun crafts with your kids” because I’m ‘so crafty.’ But the reality is that I don’t. I actually have a hard time thinking of things to do with them. And it seems like so much effort sometimes when you could just take the kids to the swimming pool. But then I learned about Kiwi Crate. Have you heard of this company? It’s actually super awesome. They pack these fun crafts in a box for your kids to do with very little parent involvement. And the kits include literally everything you need to complete the project. We got the Farm one–isn’t this so cute? 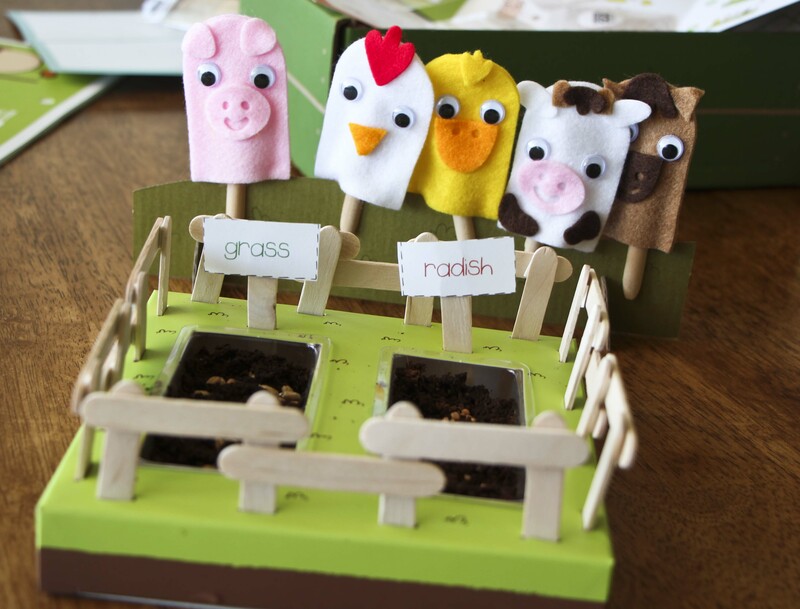 It came with everything to make this little ‘garden’ and five farm animal finger puppets and a ‘stage.’ I did this with my 4-year-old and he needed a little more help from me, but I’m sure my 6-year-old could do this completely by himself. I was literally blown away by how awesome this kit was. It’s super cute, perfect for kids to do, and very imaginative and creative. And there’s tons to do! 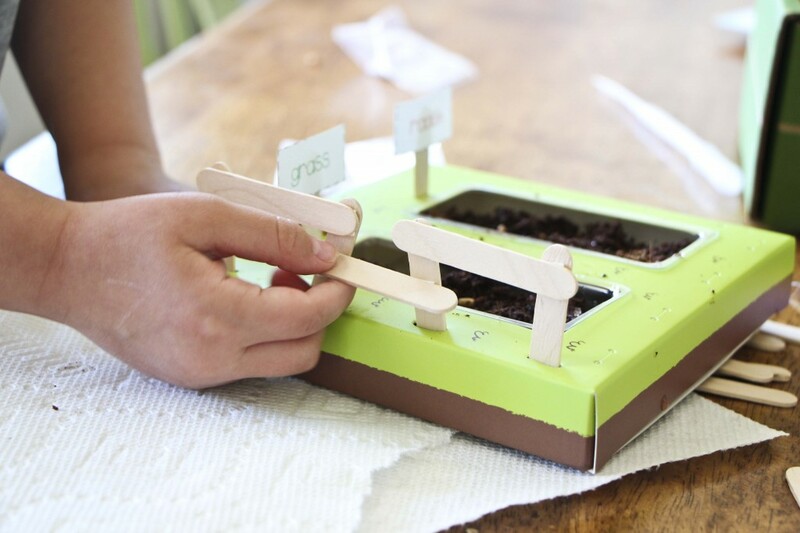 You could easily break this up into a multiple-day activity…one day make the garden, the next day make the puppets, and on other days you can color the crate it comes in, a little activity book, and even more little things. This Farm kit was so cute. It came with these little dirt pellets that you sit in the trays and squirt some water over them. Then they grew like a science experiment and my son loved it! 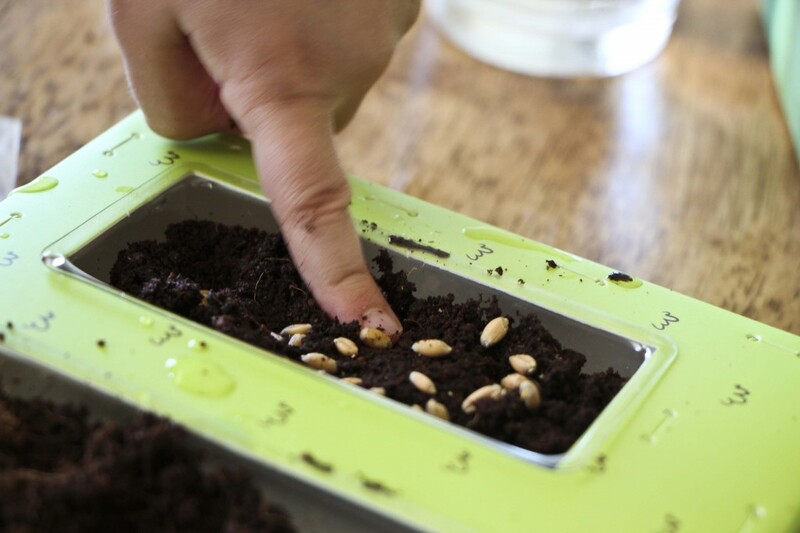 After he’d ‘watered’ the dirt enough, he pushed in the seeds. After we planted the seeds, we made a fence to go around our garden. 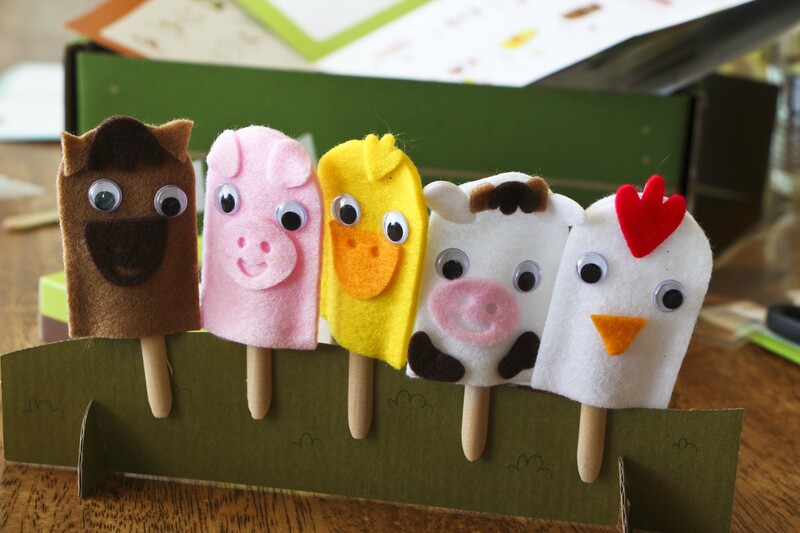 Then we put together the farm animal finger puppets. Aren’t these guys cute? We had so much fun doing this together. 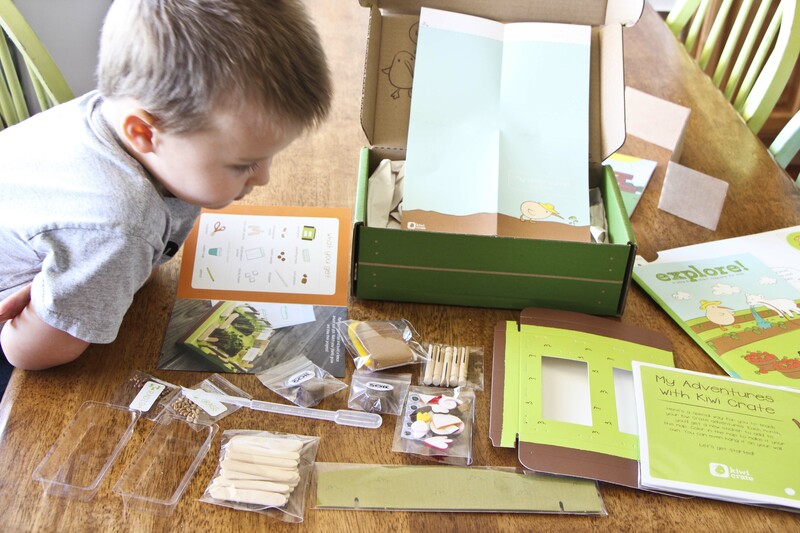 Kiwi Crate has a monthly subscription service (although you can order them a la carte) which is nice because you don’t have to think about putting together all the supplies for a craft. 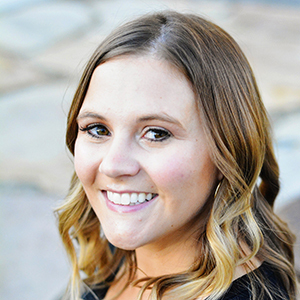 So your kids say “Mom, I wanna do a project.”–like my kids are always saying–and you can just say, “Let’s see if your Kiwi Crate is here yet!” It will fulfill their need for creation and you will feel like a successful ‘fun” mom. Win-win! With summer upon us, Kiwi Crate is launching their Summer Adventure series, a fun new bunch of summer craft kits to make. And if you want to get 25% off your first box, just use the code SUMMER25 (use between May 26 and June 30).